I know which one I prefer to book, but please don’t tell my dental hygienist, he would be appalled, as would my Mother! Dental hygiene to me, means brushing my teeth twice a day and keeping my bi-annual dental appointments, right? Wrong! Dental Hygiene; Healthy Mouth, Healthy Body vs manicures and facials. Every couple of months, I will happily spend approximately £30 on my nails and £70 on my face (sometimes more, sometimes less) This includes moisturisers, nail varnishes, occasionally facials and manicures. I regard these things as treats, I feel I deserve them. However, when it comes to investing in my long-term oral health and wellbeing, I must confess I could do more. And it turns out I am not alone. In fact, the latest research from TePe UK revealed that nearly a third of UK adults have never been to a dental hygienist, despite their key role in the prevention of tooth decay and gum disease, choosing instead to prioritise quick fix beauty and grooming treatments, such as haircuts, manicures and waxing. Why A Visit to the Dental Hygienist Could Save Your Life? Your Dental Hygienist can play a key role not only in the prevention of gum disease and tooth decay, but possibly save your life by identifying wider health issues such as diabetes or even oral cancer! Last week I visited my local dental Hygienist for a half hour session that cost £58. I had my teeth thoroughly cleaned and polished. It did not hurt but it did feel ‘cold’ on one of my sensitive teeth. 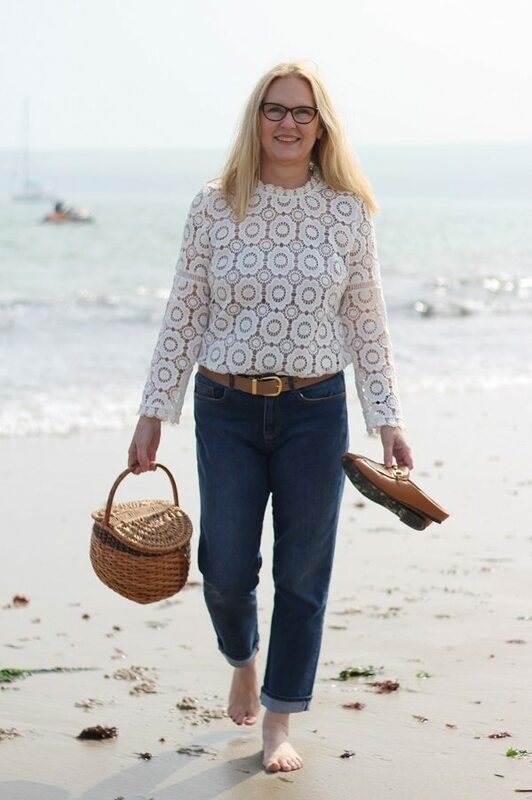 I consider every penny of my visit was worthwhile, not from a cosmetic point of view but from a health- life balance. Did you know just brushing your teeth often results in only 60% of your teeth being cleaned? 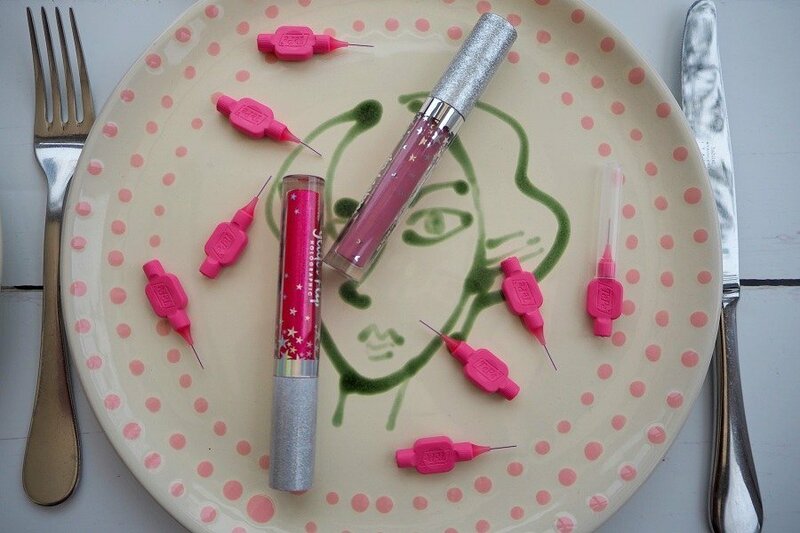 Would you apply 60% of your lipstick or nail varnish? Or wash 60% of your face? I know the answer to that question, so why would you only clean 60% of your teeth. 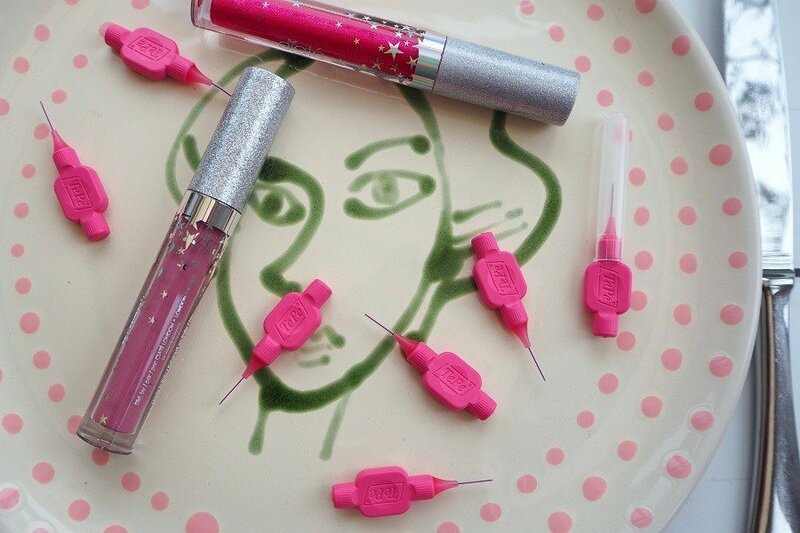 Would you apply 60% of your lipstick or nail varnish? Or wash 60% of your face? 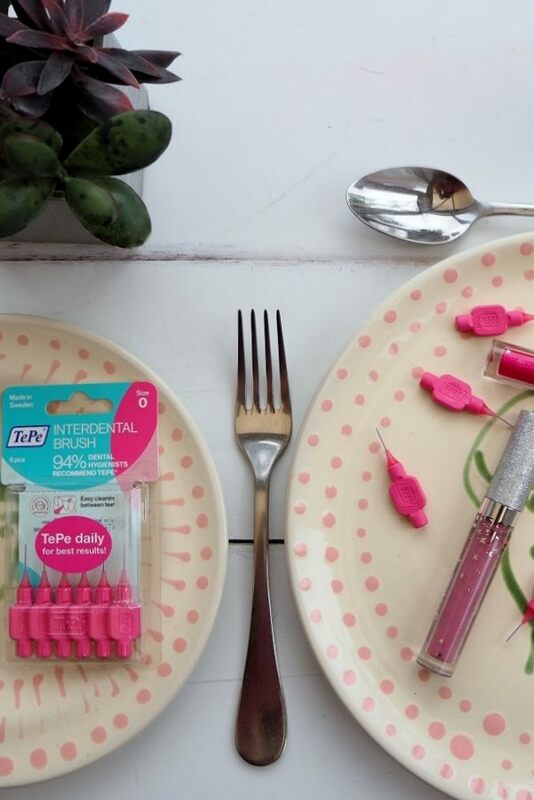 After my teeth had been cleaned my dental hygienist recommended that to maintain healthy teeth and gums, I should use the small pink TePe interdental brushes (0.4mm), to prevent plaque build-up, particularly between my teeth and in the areas where my toothbrush alone cannot reach. TePe is a Swedish family-owned company who have been designing, developing and manufacturing oral hygiene products since 1965. In fact, TePe is currently the number one brand for interdental brushes in the UK and are recommended by 94% of British dental hygienists. 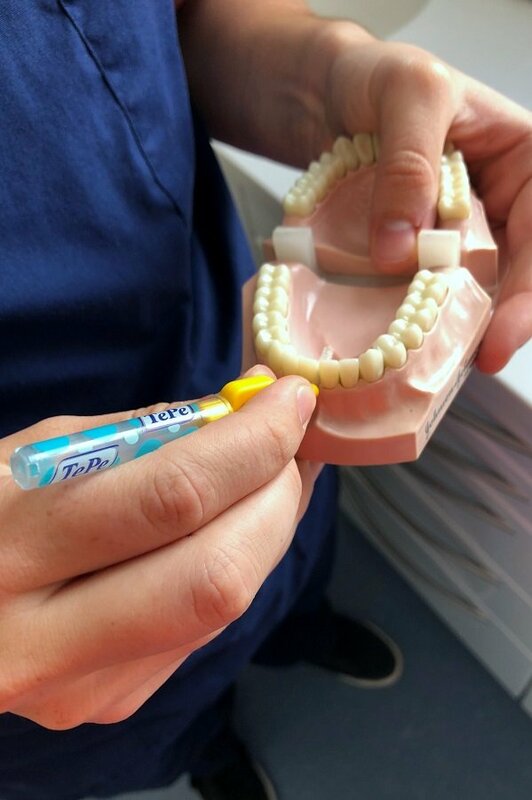 TePe interdental brushes are specifically designed with a small brush head to allow easy access to those hard to reach places, helping to remove traces of food and plaque quickly and easily. Tepe interdental brushes are tiny brushes on a stick, designed to clean between your teeth and below the gum line. ‘Interdental’ means between your teeth, i.e. the other 40% of your teeth that is hard to reach. This is where gum disease and tooth decay start. These tiny brushes only cost approximately £3.25 and are available to buy from Boots Tesco, Sainsbury’s, Waitrose, Superdrug, Lloyds Pharmacy and other high street chemists. So, for less than a bottle of Nail varnish, I can buy a packet of Tepe interdental brushes. Afterall not only will they be preventing something as simple as gum disease, but they will also be contributing to my health and wellbeing. Win, win I say! Boots have a special 3 for 2 offer on for tepe at the moment! 1. 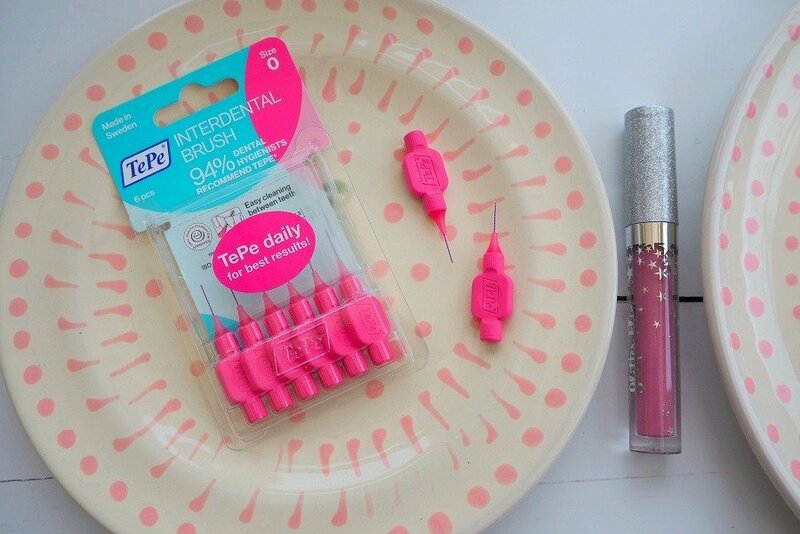 Keep TePe interdental brushes in my handbag, handy to refresh my mouth after a meal. 2. Make sure I don’t miss any teeth when I change over to my other hand, he could actually tell I was right handed from assessing my teeth and gums! 3. Keep my toothbrush at an angle to my gums. 4. Visit the dentist or dental hygienist regularly. 5. Never ever forget to brush my teeth before bed. Apparently when we sleep, the bacteria in our mouth feed on the sugar and thrive and multiply in the drier atmosphere, because we are not producing saliva to wash it away like we do in the day time. Yuk! 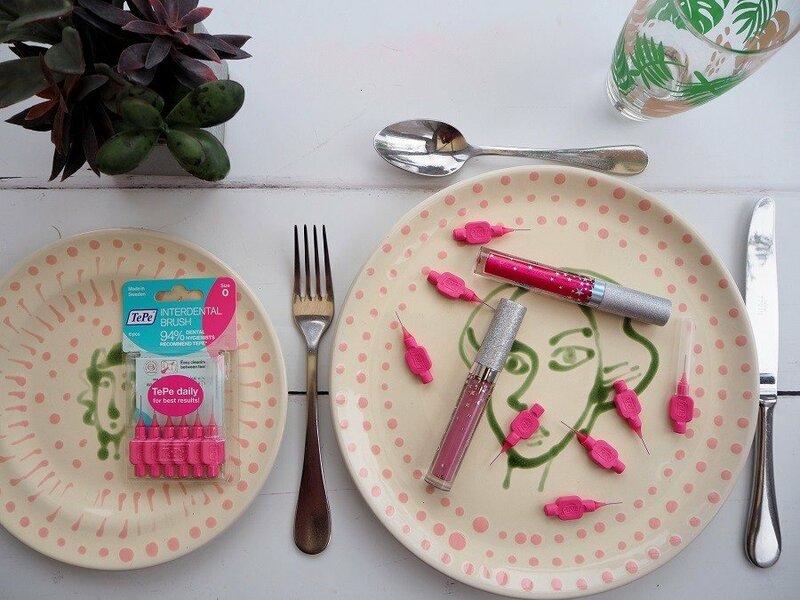 What do you do after a meal apply lipstick or use a Tepe brush? 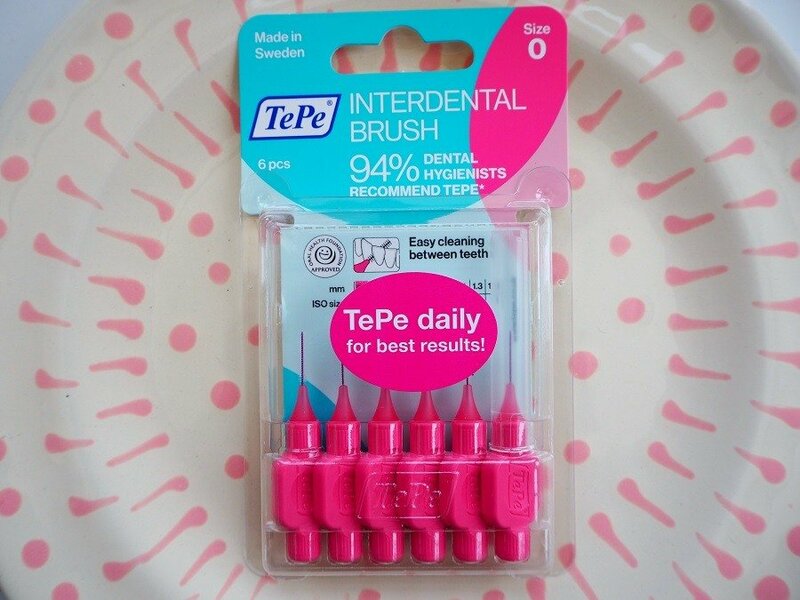 I have just booked my next dental hygienist appointment and have stocked up on Tepe pink brushes. Some are in my handbag and some are in my makeup bag. When was the last time you visited your dental hygienist? Don’t forget You can buy tepe brushes from Boots and they have a 3 for 2 offer on at the moment! October 2018 posts you may have missed? I have been using the brushes for a long time now, since my dentist recommended them. I wasn’t very good with floss. It did take a few attempts with the brushes to get the correct size. I started too small. They are really fabulous and I wouldn’t be without them. Hi Alison, I agree, now every member of the family has their own packet! We are all converted too! Exactly! it is so easy to over look this aspect of our health! I just went to mine last Tuesday. I know how important it is to keep your mouth healthy. I use the little brushes every day to remove the plaque. Good post! Very important! Well done Nancy I do sometimes forget!